An especially good morning if you had Villanova winning your office March Madness pool. (I, unfortunately, did not). Scroll down for the morning's top communications news. The recently combined Burson Cohn & Wolfe has appointed more regional leaders. The WPP firm has named heads for Beijing, Shanghai, Hong Kong, Singapore, Japan, Korea, and other markets, all reporting to agency Asia-Pacific president Matt Stafford (Campaign Asia). 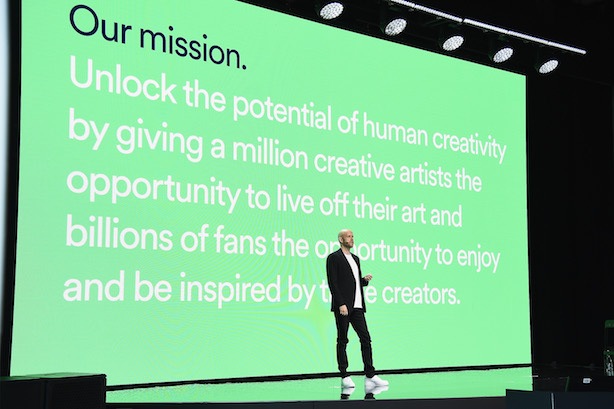 Spotify’s leader is sounding a note of caution before its Tuesday IPO. Amid market volatility this week, CEO Daniel Ek told investors in a letter, "I have no doubt that there will be ups and downs" for the streaming service (Reuters). Other Silicon Valley companies are keeping an eye on its unorthodox approach to going public (Washington Post). General Motors is leaving its monthly sales reports for the junkyard. The automaker said it will no longer release monthly sales statistics, contending they don’t provide a complete snapshot of performance. Analysts believe the decision, likely to be copied by other automakers, could hide industry trends (Wall Street Journal). Fox News is standing by host Laura Ingraham despite an advertiser boycott by more than a dozen companies. Usually a staunch defender of the free market, the network said it "will not allow voices to be censored by agenda-driven intimidation efforts." Ingraham, feeling the heat for attacks on student gun-control activist David Hogg, will be back on Monday (Fortune). Grindr will stop sharing users’ HIV status with third-party analytics companies. The gay dating app contended it was using Apptimize and Localytics in part to gauge internal performance and argued it has been unfairly caught up in the Cambridge Analytica scandal (BuzzFeed).